At Dr. Bruce D. Coward & Associate, we have three locations throughout parts of Ontario including Trenton, Brighton and Belleville. Our optometry experts offer a wide range of vision correction services. We utilize the latest innovations and pair it with a compassionate staff to improve your vision and overall health. We guarantee you receive a quality exam from a knowledgeable and dedicated staff no matter which location you select. We ensure that our patients are able to access our facility by supplying ramps for those in wheelchairs. Each one of our facilities is fully equipped with the advanced technologies that aid in the diagnostic process. We also use our technology to pair our patients with the ideal prescription for comfort as well as functionality. 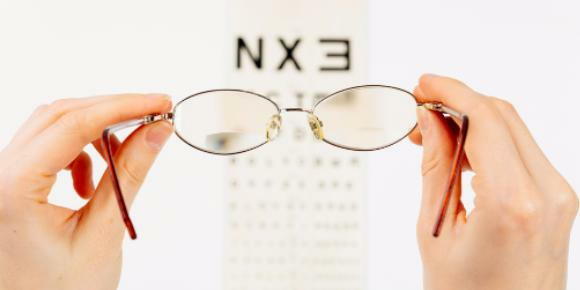 At all of our optical centers, our eye doctor gives you a comprehensive eye exam. Each of our three facilities gives eye exams that will determine a prescription for either contacts or glasses. We will size you for a pair of glasses or contacts that fit you ideally. We also screen you for certain conditions. For instance, testing with our optometrist at any of our centers will include a screening for refractive conditions including astigmatism, presbyopia, amblyopia, myopia and hyperopia. These conditions occur due to light not focusing on the retina properly. We also look inside the eye to evaluate the internal structure of your health. We screen our patients for glaucoma and macular degeneration. At all of our locations, we strive to help patients detect problems early for the best possible prognosis. Spread out through Ontario, we have three facilities that provide you with care. Our Brighton facility sits at 46 Prince Edward Street, which is located off of Main Street. Our other facility in Trenton is located on 287 Dundas St. East Suite. The Belleville location is at 156 North Front St. Suite. Because we have three facilities, we're able to serve a broader base of individuals. This allows our patients to choose the facility closest to them for convenience purposes.